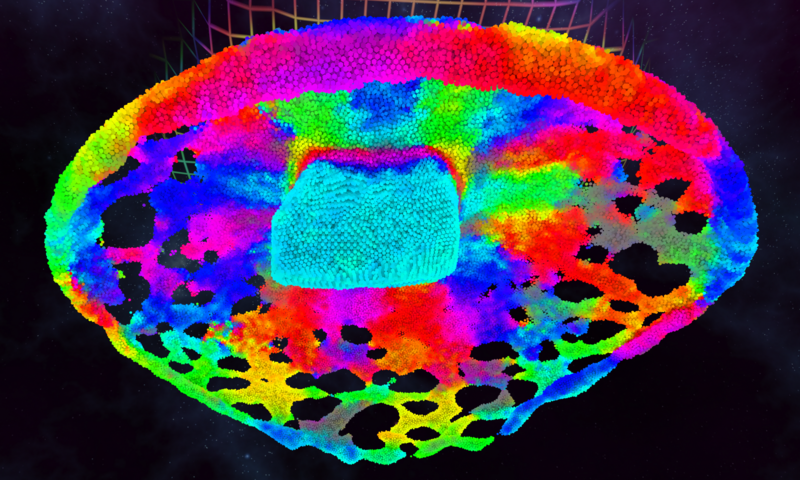 Chroma Lab is based around an optimised, built-from-scratch, particle physics engine that uses compute shaders for maximum performance. Internally there are approximately 2 billion force calculations per second (depends on GPU) that are used to maintain the particles distance from one another and allow them to stick together and behave like a fluid. Chroma Lab also makes extensive use of custom shaders for visuals. I would like to thank all of my beta testers. Without their help and feedback, Chroma Lab would be a small fraction of what it is now. I would also like to specifically thank Colin and Sarah Northway from Northway Games for all the help they have provided.